Big 5 Sporting Goods Corp. reported a loss of $5.1 million, or 24 cents a share, due to asset impairment and contract termination charges and lower margins. As previously reported, same-store sales improved 1.1 percent in the period. 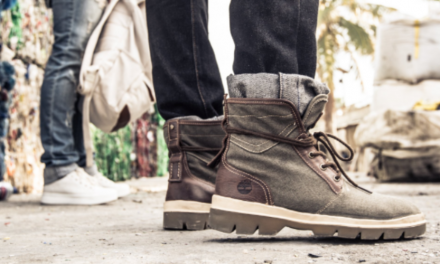 The west-coast sporting goods chain predicted a profit against a loss in the first quarter. As reported on January 14, net sales for the fiscal 2018 fourth quarter were $247.1 million compared to net sales of $242.9 million for the fourth quarter of fiscal 2017. Gross profit for the fiscal 2018 fourth quarter was $70.4 million, compared to $72.9 million in the fourth quarter of the prior year. The company’s gross profit margin was 28.5 percent in the fiscal 2018 fourth quarter versus 30.0 percent in the fourth quarter of the prior year. The decrease in gross profit margin largely reflects lower distribution costs capitalized into inventory as a result of reduced inventory levels and, to a lesser extent, a decrease in merchandise margins of 11 basis points for the quarter. Selling and administrative expense as a percentage of net sales was 30.9 percent in the fiscal 2018 fourth quarter versus 33.3 percent in the fourth quarter of the prior year. Overall selling and administrative expense for the quarter decreased $4.5 million from the prior year primarily due to asset impairment charges in the prior year totaling $5.0 million compared to asset impairment and contract termination charges totaling $1.9 million in the current year. Additionally, advertising expense for the quarter decreased by $1.6 million compared to the prior year. Net loss for the fourth quarter of fiscal 2018 was $5.1 million, or 24 cents per share, which includes after-tax charges of $1.4 million for asset impairment and contract termination costs and $0.3 million for a deferred tax valuation allowance for certain income tax credits, or 8 cents per share. In the 2017 fourth-quarter, Big 5 lost $13.0 million, or 62 cents a share, after recording after-tax charges totaling $10.9 million or 52 cents per share, primarily related to the revaluation of deferred tax assets as a result of the new Tax Act and goodwill impairment. Excluding the non-recurring items, the loss would have been 16 cents in the latest quarter against a loss of 10 cents a year ago. In its update on January 14, Big 5 said it expected to realize a loss per share in the range of 15 to 17 cents a share, which compared with previous company guidance of a loss per share in the range of 15 cents to 25 cents. For the fiscal 2018 full year, as previously reported, net sales were $987.6 million, compared to net sales of $1.01 billion for the fiscal 2017 full year. Same store sales decreased 2.7 percent in fiscal 2018 versus the comparable period in the prior year. Net loss for fiscal 2018 was $3.5 million, or 17 cents per share, including the after-tax charges in the fourth quarter noted above and a deferred tax asset write-off related to stock compensation in the first quarter of $0.2 million, or 9 cents per share. Net income for fiscal 2017 was $1.1 million, or 5 cents per diluted share, including after-tax charges in the fourth quarter totaling $10.9 million, or $0.52 per diluted share. The company’s Board of Directors has declared a quarterly cash dividend of $0.05 per share of outstanding common stock, which will be paid on March 22, 2019 to stockholders of record as of March 8, 2019. For the fiscal 2019 first quarter, the company expects same store sales to increase in the mid-single-digit range and earnings per diluted share to be in the range of 4 cents to 10 cents, compared to a same store sales decrease of 7.5 percent and a loss per share of 6 cents in the first quarter of fiscal 2018. Fiscal 2019 first quarter guidance reflects an anticipated small positive impact as a result of the calendar shift of the Easter holiday, during which the company’s stores are closed, from the first quarter of fiscal 2018 and into the second quarter of fiscal 2019. Given the anticipated sales performance and year-over-year reduction in inventory levels for the first quarter, the company expects quarter-end debt levels to decline to below $50 million, compared to $68.9 million at the end of the first quarter last year. During the fourth quarter of fiscal 2018, the company opened one store and closed one store, ending fiscal 2018 with 436 stores in operation. During the fiscal 2019 first quarter, the company expects to close three stores and does not expect to open any new stores. For the fiscal 2019 full year, the company currently anticipates opening approximately five new stores and closing approximately four stores. 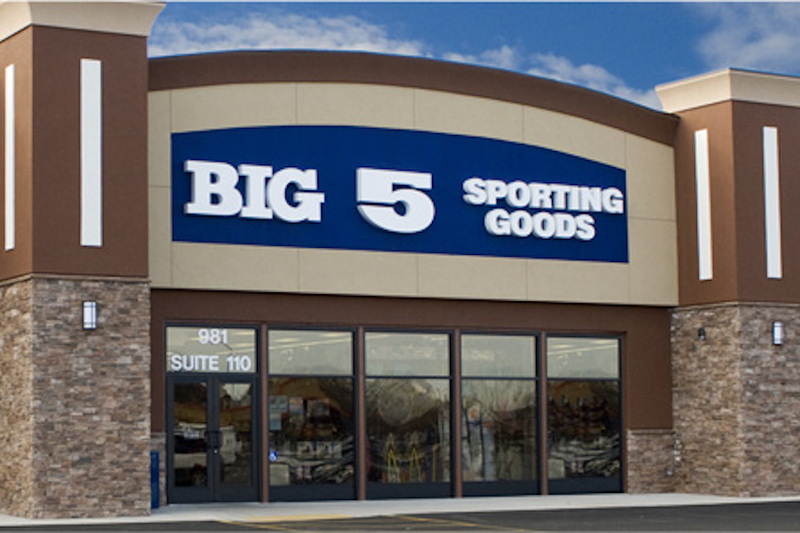 Big 5 is a leading sporting goods retailer in the western United States, operating 436 stores under the “Big 5 Sporting Goods” name as of the fiscal quarter ended December 30, 2018. Plano Molding Acquires Frabill Inc.